There's something incredibly poignant in contemplating our aging musical heroes who have also turned out to be Canadian cultural giants, the ones who sang us to sleep at night when we were twentysomething and lonely, helped to mend our broken hearts, or became our spiritual guides as we figured out who we were. How many nights did the loneliness of Gordon Lightfoot's plaintive ballad "Early Morning Rain" reassure us that others, too, were far from where they wanted to be, "with a dollar in my hand, with an aching in my heart and my pockets full of sand." Well, I don't remember the sand part. But I was always metaphorically a long way from home. Two readable new books out this fall - Reckless Daughter: A Portrait of Joni Mitchell by American writer David Yaffe, and Lightfoot by former Maclean's music critic Nicholas Jennings - seem perfectly timed not only to chronicle each artist's life and creative journey but to help us understand and appreciate how much they gave to their art, and how much that art in turn has fed us. Joni Mitchell, now 73, and one of the great musical geniuses - male or female - of the 20th century, has rarely been seen in public since she suffered brain trauma from an aneurysm in 2015. Gordon Lightfoot, 78, hailed as "Canada's bard," defined, through songs like "Canadian Railroad Trilogy" and "The Wreck of the Edmund Fitzgerald," what Canada meant to many of us. He is still performing after recovering from his own medical crisis, an abdominal aortic aneurysm that nearly killed him in 2002. Both artists have been rumoured, at times, to be dying or dead. Lightfoot, driving in his car, once heard his own obituary on the air (he thought it was odd they were playing one of his songs on all-news radio) and called in sensibly to deny his own death. What should we call this period of their spectacularly creative lives? Post-iconic? With most of the tributes and honours already bestowed, each of these musical legends is free to carry on more private lives and intense conversations with their muses as we count our own inevitable changes. Each singer has created memorable anthems, some deeply personal, others that stirred in us a new sense of who we were. As someone I know put it, which would you rather sing: "O Canada" or "A Case of You"? 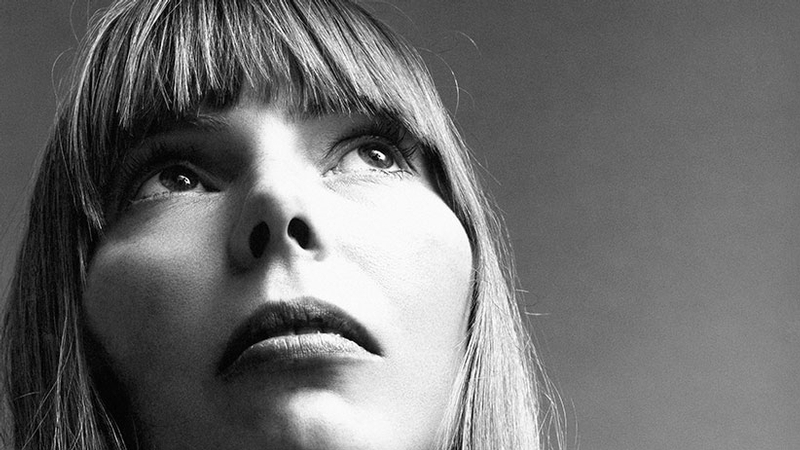 Consider one phrase from Yaffe, describing Joni Mitchell's "years of bottled-up melancholy." Of course that description could apply to most artists, including the legendary singer both Mitchell and Lightfoot have considered their pace-setter, Bob Dylan. He in turn has admired each of them, once writing about Lightfoot, "Every time I hear a song of his, it's like I wish it would go on forever." Both artists became rich and famous, Lightfoot by staying home in Canada and Mitchell by flying away. As Chuck Mitchell, Joni's first husband, points out in Lightfoot, they "came from modest backgrounds in small Canadian towns, and shared this survivalist notion to never go back to the restraints of their childhoods." Reckless Daughter and Lightfoot do a deep dive into their subjects. Author Jennings spent more than a dozen years interviewing the usually reticent Lightfoot, and thanks him for "entrusting his life story to me." Although Reckless Daughter is juicier (it's about Joni after all, who turned confession into an art form), Jennings' portrait of Lightfoot mirrors the man himself: it's a slow reveal, and ultimately tells a full, satisfying story about a stubborn, often lonely man of few words who has never enjoyed explaining himself to the public. In Reckless Daughter, Yaffe, a Texas-born critic and professor, is clear about his adoration of Mitchell's work. The author, who interviewed Mitchell several times, writes of her mercurial temperament and unabashed certainty of her own musical genius - "she's about as modest as Mussolini," former lover David Crosby said. There are also Mitchell's scathing put-downs of her peers. "There's something la-di-da about her," she sniffed about Judy Collins, who helped her to stardom by first recording "Both Sides Now." Roberta Joan Anderson was born in Fort Macleod, Alta., in 1943, the rebellious, artistic only child of straitlaced parents. She started smoking when she was nine. Her mother, Myrtle, once called her "a liar, a quitter and a lesbian." She got pregnant in art school and gave her baby daughter up for adoption, a deep, bruising loss that sparked at least one song, "Little Green," and a lifetime of regret. She would eventually reunite with her adult daughter in 1997, and though the relationship became tumultuous, she got to know her grandchildren. Mitchell's biggest subject would always be love, writes Yaffe, "even in its absence." "I sing my sorrow and I paint my joy," Mitchell once said, explaining the impetus behind her music - she started singing seriously in Toronto coffeehouses in the '60s - and the exquisite paintings she has continued to do all her life. In such seventies hits as "The Circle Game," "Big Yellow Taxi" and "Help Me," and in her innovative albums Blue and Court and Spark, Mitchell provided the soundtrack of our lives, winning eight Grammys, including a lifetime achievement award, in the process. Her male peers thought she was way too personal - "Oh, Joni, save something for yourself," Kris Kristofferson told her - but she couldn't be any other way. The result was both transcendent and bracing, or as Rolling Stone once put it, "a whole lot of Woman Truth." Yaffe depicts Mitchell as "a young woman dodging male authority in a man's world." Her male peers - among them Graham Nash and Neil Young - admired the way she tuned her guitar, her intricate melodies and, most of all, the words she wrote. Even the late playwright Sam Shepard, for whom she wrote the song "Coyote" after a brief flirtation, couldn't get over a lyric like "I've got a head full of quandary and a mighty, mighty thirst." Yaffe offers some memorable scenes, among them Joni and Jimi (Hendrix) in an Ottawa hotel room in March 1967, trading notes on music sitting on the floor with a third musician, "like a campfire," says Mitchell, before a hotel detective broke it up. Oh, Ottawa. Mitchell has bravely made intense forays into jazz and taken other sophisticated musical detours that her fans and radio stations didn't always appreciate. Blue, meanwhile, remains her biggest-selling album. Yaffe explains the pull of its soulful songs: "In every decade, in every age, there would be those who are sinking, those who needed to be reminded . . . you can make it through these waves." On the stage of Bob Dylan's Rolling Thunder Revue at Maple Leaf Gardens in Toronto in December 1975, amid stars like Joan Baez and Elton John, Lightfoot "looked every inch the handsome hometown hero," Jennings writes. Not only would he have the crowd cheering as he sang "Sundown," his "taut tale of sexual jealousy," but there was a helluva party later that night at Lightfoot's Beaumont Road mansion in Rosedale, site of many a rock-'n'-roll bacchanal, especially after Lightfoot's sold-out yearly shows at Massey Hall. Born in Orillia, Ont., in 1938, Gordon Lightfoot developed his love of singing before he was a teen, as a member of a United Church choir. He still sings in a Toronto church, once a year. "Throughout his life Lightfoot faced issues of sin, redemption and repentance and when reflecting upon himself, actually thought in those terms," writes Jennings. Time magazine once called him a "cosmopolitan hick." While he played often in the U.S., he didn't move there because "I was a bit of a homebody." He made a lot of money here - buying up expensive Toronto real estate more commonly the habitat, says Jennings, of "stockbrokers, mining executives, the Bay St. boys." At the height of his fame, Lightfoot was drinking so hard it almost destroyed his career. At one point he was up to a bottle of Canadian Club a day. In the summers he would take long canoe trips, which also helped him dry out. He eventually stopped drinking. He's often been seen as socially brusque to the point of boorishness, and he's agonized over it: "I've asked myself many times if the shyness is really arrogance . . . I'm sorry for every faux pas," he told one interviewer. Through broken marriages (three wives, six children) and the ups and downs of the music industry Lightfoot has had a "huge work ethic." For Lightfoot, writes Jennings, "it was always about the song." Work was his refuge, and it paid off in creating lovely, haunting songs ("If You Could Read My Mind" has been covered more than 300 times) that not only made him famous but were sung by some of the greatest singers of his time, including Elvis Presley and Barbra Streisand. Stubbornness has been a mainstay of his career. In 1972, he was nominated for a Grammy for "If You Could Read My Mind," but he refused to perform the song because the producers wanted its time cut, thereby missing "his chance to shine on music's biggest night on television." Still, shine he did. In 2000, the New York Times critic Ann Powers wrote after a concert at New York City's Town Hall that Lightfoot was "a rugged guy who knows how to melt. The slow thaw defines his music and his enduring charm." Through health crises, music industry shakeups and periods when they were deeply undervalued or undone by their own demons, Mitchell and Lightfoot each kept doing the thing that sustained them - and us. Perhaps the greatest gift of both Reckless Daughter and Lightfoot is that both books lead you right back to their music. Feels like you never left, only better. This article has been viewed 1,506 times since being added on October 6, 2017.